Aaron Cole October 3, 2018 Comment Now! The Kia Niro EV made its European stop Tuesday, likely the last stop on its world tour before a U.S. model is revealed. 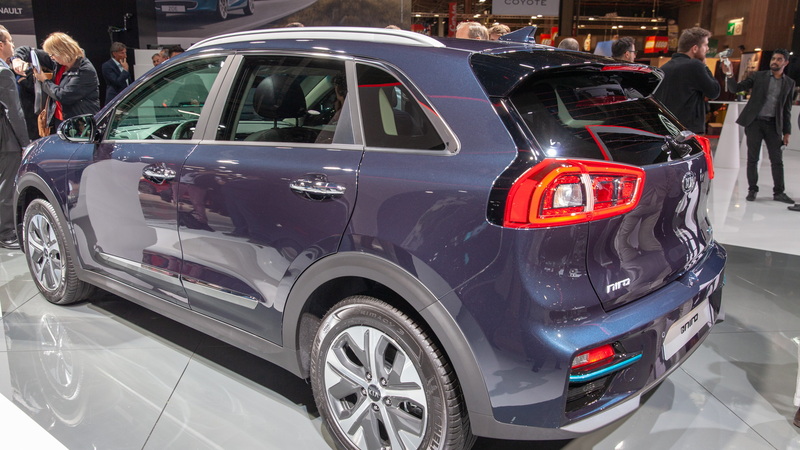 The Niro EV that showed at the 2018 Paris auto show gave us the most detailed look at the electric crossover heading to the U.S. next year, although Kia hasn't yet said when the electric car would go on sale in the U.S. nor how much it will cost. Equipped with a 64-kwh battery, the new Niro EV will offer 301 miles of range on a single charge, measured on the new WLTP standard. That figure is likely to drop once EPA estimates roll in, although the WLTP estimate is far closer to U.S. than the outdated NEDC cycle. A smaller, less-powerful version of the Niro EV is equipped with a 39.2-kwh battery, although that's not likely to make its way to America. When equipped with the bigger battery, the Niro EV powers its front wheels only with a 201-horsepower electric motor. Both battery and motor are similar to the units found in the Kona Electric that has been EPA rated for 258 miles. 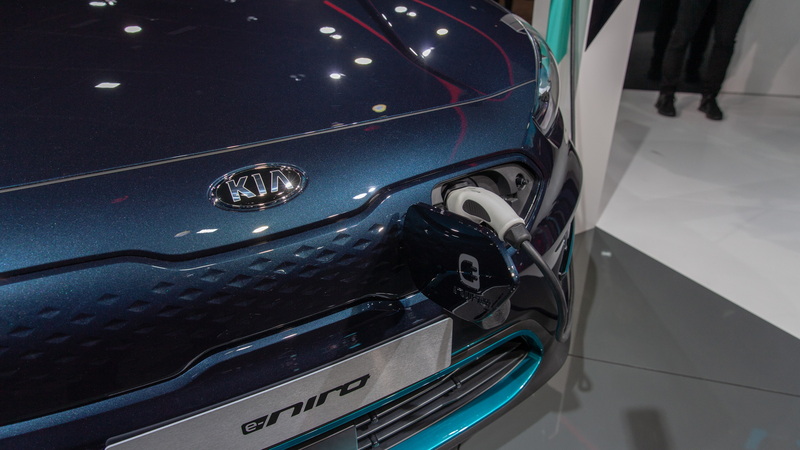 In Europe, Kia plans to call the electric hatchback "e-Niro" although it's unlikely that name will make the journey stateside. Even though the name isn't yet set for the Niro, its roots in America are clear. 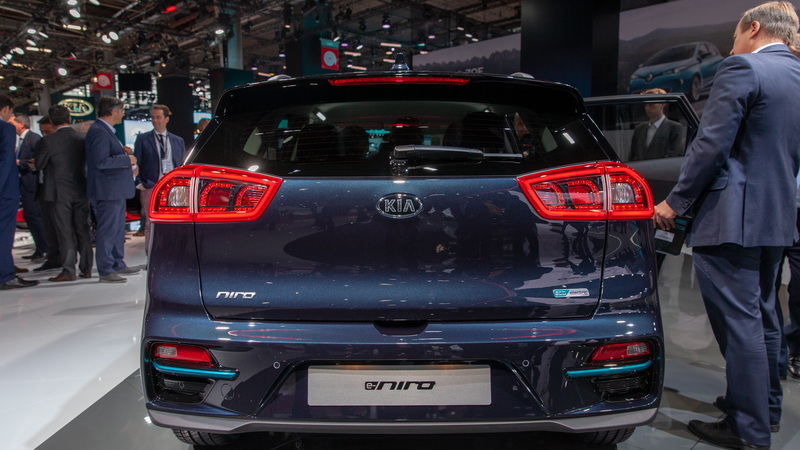 Kia designed the Niro at its California design studio and the production car loosely follows the concept that debuted this year in Las Vegas at the Consumer Electronics Show. The production car skips the hood stamps and overly aggressive wheels of the concept and delivers a profile more closely related to the Niro range already on sale with 17-inch wheels. 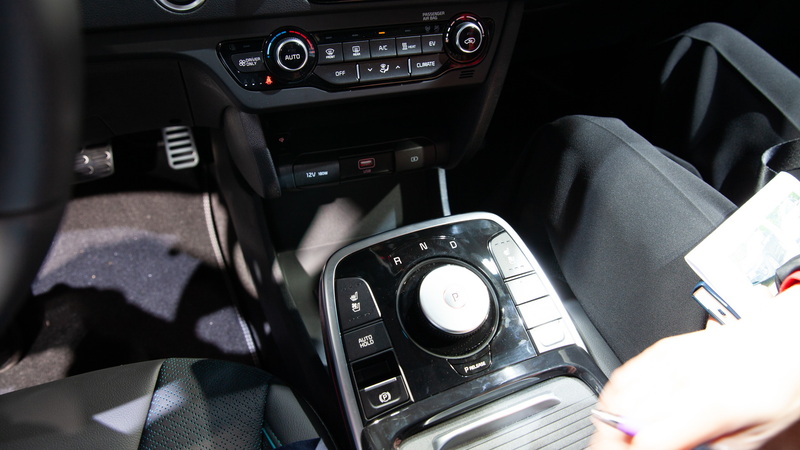 The Niro EV adopts a few blue accents on the inside and outside, and opts for a rotary dial for a shifter in the center. 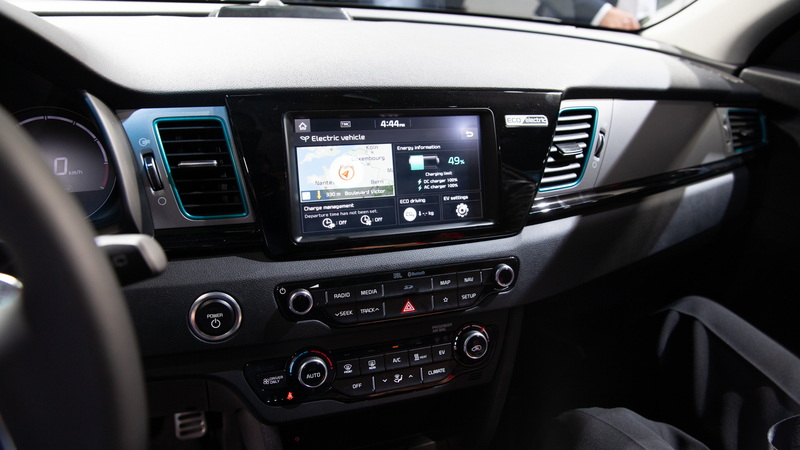 A 7.0-inch touchscreen handles infotainment detail, and Kia will use a in-car coach to tell drivers when to lift or brake to maximize coasting when approaching intersections. An advanced heat pump helps heat or cool the cabin to minimize battery drain, and a battery conditioning system helps regulate the pack's temperature during charging for better efficiency. The Niro EV will be equipped as standard with automatic emergency braking, adaptive cruise control, and active lane control. For more from the 2018 Paris auto show, head over to our dedicated hub.